More horrors of Dol Quar, the Realm of Dreams, await those who connect to it beyond the wall of sleep! Some Quori rival and perhaps exceed the Dreaming Dark in terms of sheer power and deadly force of will. The evil of these creatures is not to be tested, unless you’re willing to lose your body or mind… or both. If you thought the first batch were threatening, you have seen nothing yet. Here’s the second part of my Quori conversion. Made by Doctor Necrotic, for Doctor Necrotic Media. 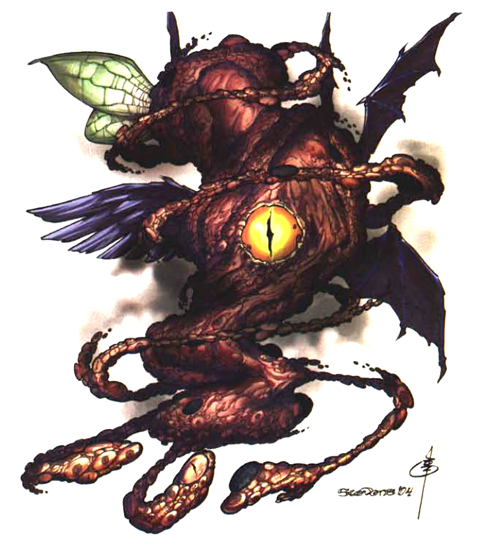 Quori and Eberron are copyrights of Wizards of the Coast. Deep within the realms of Dream lie many secrets to the cosmos. The residents of Dal Quor are among those that should have remained distant. The Quori are a race of beings that interact through the dreams of others, influencing their victims however they can this way. While the realm of Dal Quor is said to only touch upon the series of Crystal Sphere dubbed “Eberron”, some fear that the Quori’s influence stretched far into the multiverse. Some theorize that they have an intricate network traveling through the distant eldritch plane known only as “The Far Realm.” No matter the truth, none of our dreams are safe from these malicious foes. To many, they are a race of boogeymen. 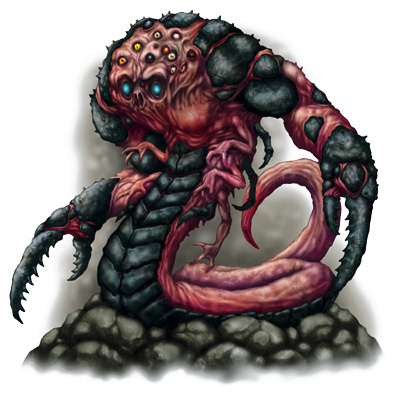 They manifest in horrific forms; your worst fears, deformed and mutilated killers, sometimes even their natural forms as well! No matter the shape they take, they stalk victims in their sleep, waiting to either bring them to ruin or control them… with or without them fully aware. Rumors have begun to persist that they can warp reality around the victim as they sleep. One witness saw a sleeping child pulled into their mattress, only for a geyser of blood to shoot from the newly formed hole in the mattress. If this account and many others are true, the Quori are as terrifying within the dream realm as they are outside of it. Author’s Note: There are many reasons for me to tackle this awesome set of literal nightmares. Part of it is the strange sense of Lovecraftian horror these creatures give off. Another part of it is to honor the dream-filled horrors of the sadly late Wes Craven. Enjoy. Hey, everyone! My much needed break is coming to a close. Fear not, the Quori are almost finished as well! And there’s more horrors to infest your dreams where that came from. Following the Quori, dread things shall take over my blog for the next month. Ready yourself for an incursion of unfathomable evils, terrors from the multiverse, distortions of the very magical energies we pretend to know and much more evil where that came from! A few things! First off, I’m still trying to balance a busy schedule of work with my personal projects… and my projects mean plenty to me, as well as all of you (otherwise you wouldn’t be reading my nonsense.) Also, I’m taking a break. In short, I need time to gain the energy to keep a consistent schedule while balancing my personal life. But don’t worry, something is on the way relatively soon. In other news, the next thing I’m working on is another multipost with an Eberron theme! This time, it’s the Quori! In addition, once that’s finished, I shall do another block of horror-themed content for the month of October. I might clean up some of my work from last year that I was not content on. Time will tell, so stay tuned. EDIT: You can now find the stats via Patreon! The Felinians resemble bipedal cats with a few humanoid-like qualities. However, some are an inverse of humanoids with feline qualities. Many tribes tend to have a variety of specific colorizations and various features, signifying different breeds. As their cat-like descent would imply, the Felinians are naturally curious creatures that seek to know everything about whatever they find. As such, social castes of scholars are often treated quite well within many of their societies, trading knowledge as if it were a monetary system. However, their love of discovery doesn’t impede the power of a raw and savage nature that courses through their veins. Gifted with the boons of their progenitor races, they’re capable of clawing a foe into submission, leaping incredible distances without too much damage and dashing incredible distances to track down prey. That said, many fears and weaknesses associated with their ancestors carry over into much of the Felinian cultures, hence why most tend to live more inland rather than by coastal regions. To many a Felinian, achieving a greater sense of balance in one’s self as well as their world is the key to prosperity. To them, a sense of neutrality is the key to survival. In worlds that favor factions and feuding, they tend to not get involved. Any involvement is either in self defense or eradicating faction influence within their lands. That is not to say they won’t fight vigorously to uphold what they believe in. Ironically, they value exploring almost anything. While some would view their willing to indulge in something as hedonistic, Felinians typically view it as exploration. Upon gaining greater awareness, it’s common to form group meetings in response to their discovery. They are willing to trade in all sorts of sources of knowledge and many delights. To them, balance can be recognized when all senses are properly “awakened.” However, some view their philosophy as distasteful and self-serving. Author’s Note: Based on the positive reception from my homage to Mystara’s Lupins, I decided to tackle my take on the Rakasta sooner rather than later. Enjoy. (When I get the time, I’ll tackle my take on the Tortles too!) Also, I felt motivated to do this request after rewatching the glorious vintage cheesy goodness that is (original) Thundercats. That said, I’m probably going to start Eberron’s Quori now! Find the stats via this post on Patreon!